Export quality. STK - select tight knot grade. KD 6-8%. 4/4" x rw 4"-8" x rl 7'-14'. 5/4" x rw 4"-8" x rl 7'-14'. 8/4" x 4", 6", & 8" x rl 7'-12'. ​Scroll down for more information about Australian Cypress Lumber. Stack of Australian Cypress rough lumber. 19'5" x 8" x 8"
Rough sawn. Custom mill orders only (Feb 2019). Rough sawn Australian Cypress beam. 1. Australian Cypress has good fire resistant and termite resistant properties. We have independent analysis of Australian Cypress performance in house fires and wild fires. Cool, huh? In more ways than one! 2. Australian Cypress lumber and flooring is a comparatively dense wood with good stability once installed. 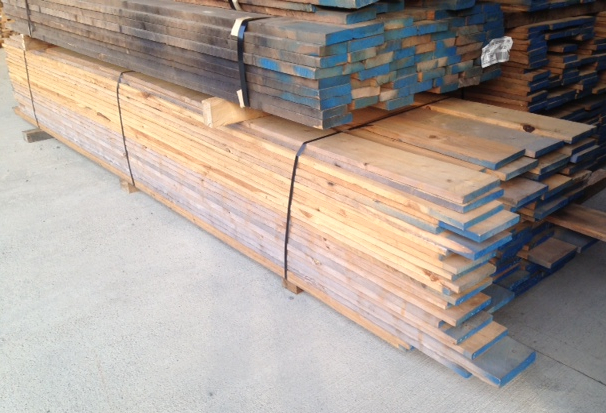 ​Contact us for your specific Australian Cypress Lumber needs. Shipping info.